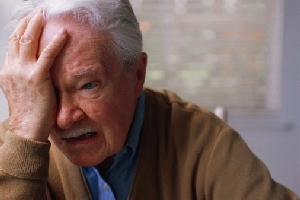 It is an unfortunate situation that some elderly caregivers, especially family members who provide day-to-day services for their ailing mothers/fathers, are suffering in silence as they endure mental or psychological abuse from their elders who have become selfish, controlling, and manipulative in order to get what they want when they want it. Some elderly people tend to become more self-centered and narcissistic as they age. This is somewhat understandable when one considers that older folks know that death may be imminent, they most likely have lost some mobility and/or use of other senses, and they feel control over their lives slipping away from them more and more each day. However, this does not entitle them to abuse or manipulate those family members who are trying to provide for and protect them from harm. An elderly caregiver in her late 70s, providing for her aged older sister who wanted to remain in her own home until she died, was told no one else was allowed in the house to help out with caregiving duties which were becoming increasingly demanding. There was no room for discussion, no consideration for the failing health of this elderly Florence Nightingale, who had not only put her own life on hold but also had relocated and was living in her sister's home to help her out. Consequently, the only option left was to put this woman into a nursing home until she passed away. Some elders feel entitled to get what they want at a moment's notice. This type of unrealistic demand can be the proverbial straw that breaks the camel's back for a person who is already providing essential medical and non-medical care, especially if it is on a 24-hour basis. Unfortunately sometimes elderly people will lie to family members, friends, healthcare professionals, and social service workers about the care they are receiving at home. This can cause devastating results and permanently fracture relationships, especially if Social Services is contacted by well-meaning (or not so well-meaning) people who take this information at face value and do not bother to get input or any further information from the primary caregiver. Manipulation is another powerful psychological weapon that elders can and do use. There are those who have perfected their manipulative ways, playing the martyr and victim to perfection, in order to receive the maximum amount of attention, sympathy, and pity they desire. The best laid care plan can be sabotaged by an uncooperative elder who will not take an elderly caregiver's needs and limitations into consideration. Injecting other outside family members or friends into the mix can only increase the confusion and frustration. No matter how much quality of care is provided, there are elderly folks who just cannot be satisfied and will attempt to guilt their children into doing everything for them. It is essential for the well-being of the elderly person requiring care that he/she remain as active as possible. Mary Ruff-King is an author who has experienced the highs and lows, joys and challenges of providing elder care.